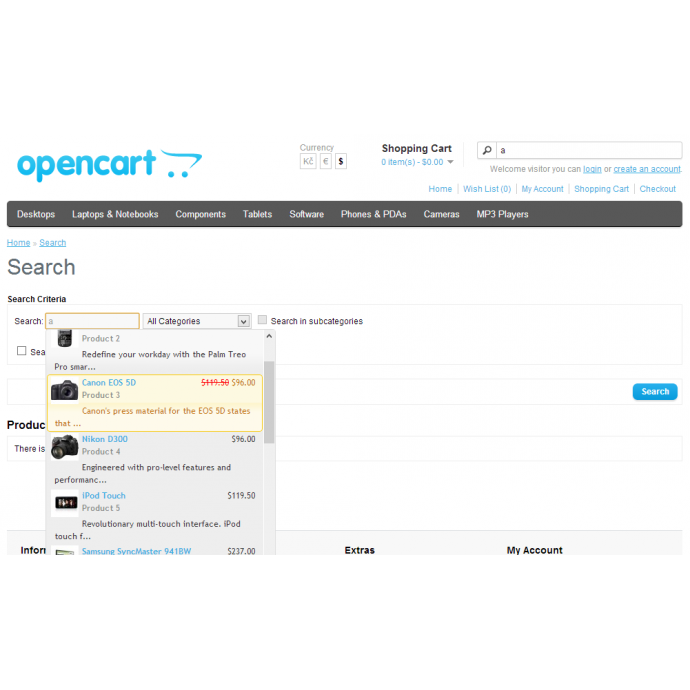 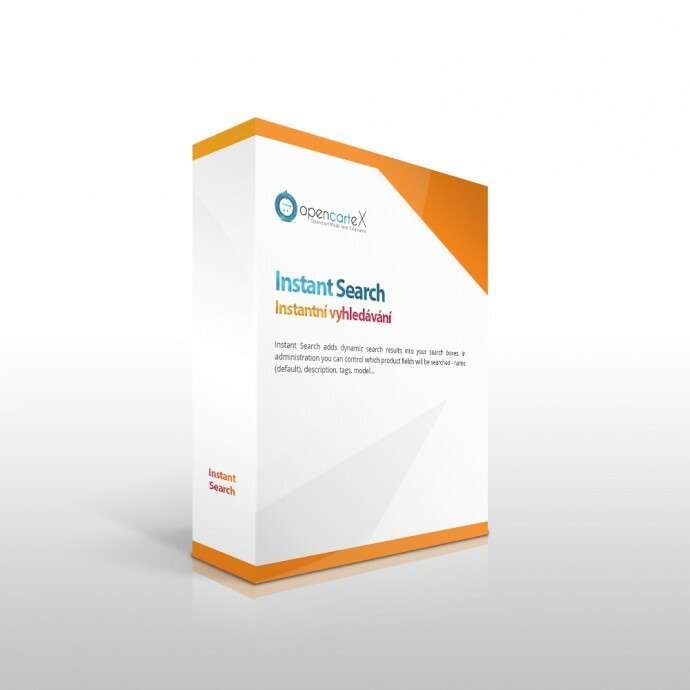 Instant Search adds dynamic search results into your search boxes. 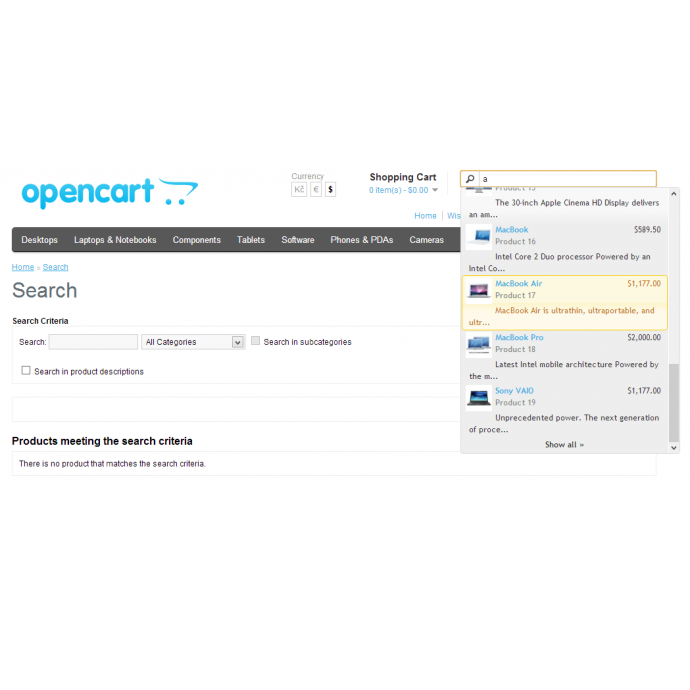 In administration you can control which product fields will be searched - name (default), description, tags, model (+ sku, upc, ean, jan, isbn, mpn), what data will be displayed - name (default), model, description (reduced to requested length), image and price and dynamic results behaviour - number of results, maximal height, delay between last key press and result show, show/hide link to all results on the bottom of the list. 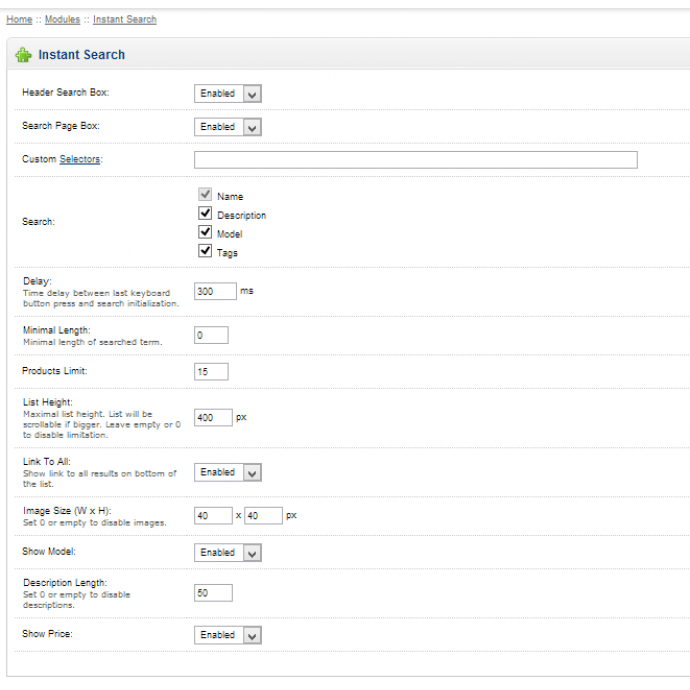 Instant Search can be applied onto search box in header, search box on search results page or you can specify custom selectors.